The exterior of a Marriott hotel in Santa Clara, California. Marriott International, the world’s largest hotel company, said Friday that millions of passport numbers were accessed in a data breach that was first announced in November. Marriott also said that the breach affected an estimated 383 million “unique guests,” down from the original estimate of 500 million given when the company said in November that its Starwood guest reservations database had been penetrated by hackers. The compromised passport numbers represent a fraction of the total data stolen by hackers, according to the company’s latest figures. As the Post reported in November, the hackers – who gained access to Marriott records on Nov. 19 – were able to access names, addresses, phone numbers, email addresses, as well as loyalty program account information, dates of birth, gender and reservation information. 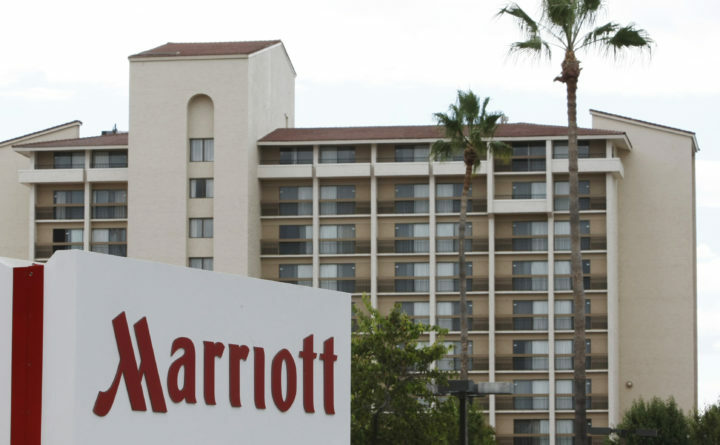 “Marriott now believes that approximately 8.6 million encrypted payment cards were involved in the incident,” the company statement said Friday, adding that 354,000 of those cards were unexpired as of September. The company also said that while “there is no evidence that the unauthorized third party accessed either of the components needed to decrypt the encrypted payment card numbers,” it cannot rule out the possibility. Chinese government officials have denied involvement in the attack and promised to carry out an investigation if they’re offered evidence of wrongdoing, according to Reuters. Priscilla Moriuchi – an analyst with Recorded Future who worked for the National Security Agency until 2017 – told AP that unencrypted passport numbers are particularly useful for tracking people’s movements and learning about their history. “You can identify things in their past that maybe they don’t want known, points of weakness, blackmail, that type of thing,” she said.